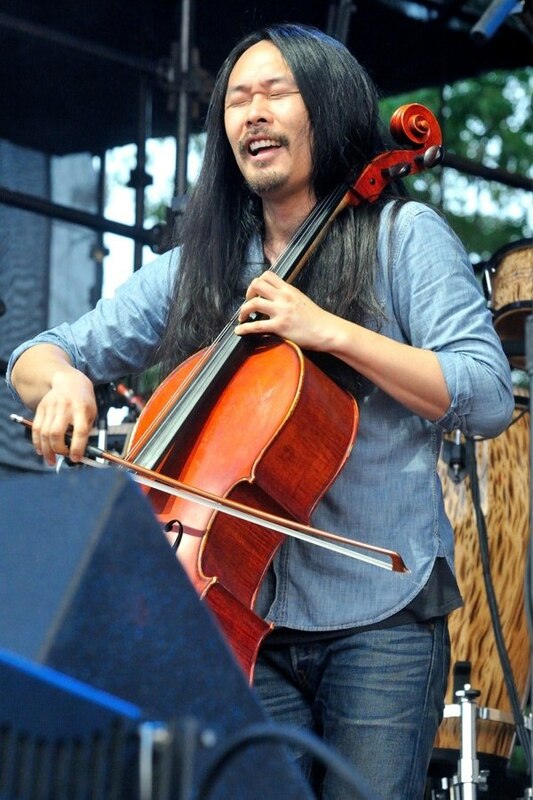 Joe Kwon on cello for The Avett Brothers. 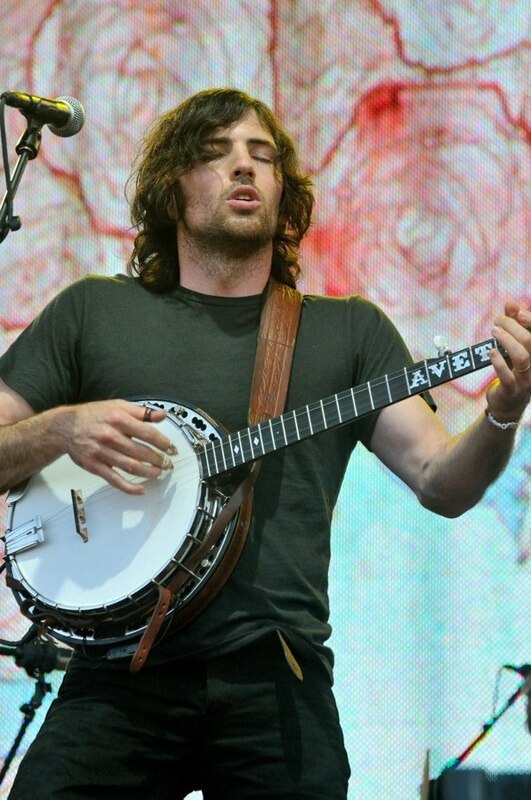 Photo by Ed Lorio. 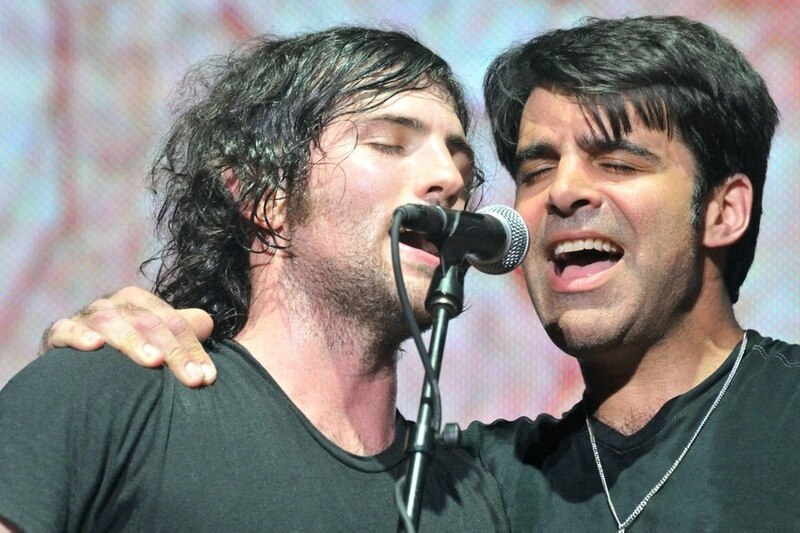 Scott Avett and bassist Bob Crawford of The Avett Brothers. Photo by Ed Lorio.